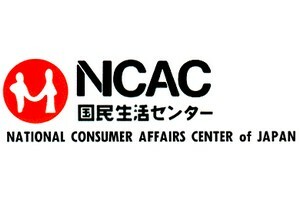 The Japanese National Consumer Affairs Center has come out warning binary options brokers overseas regarding trading binary services and how they provide the binary options. There are rising concerns about the solicitation of the Japanese citizens by online-brokers offering binary options based in foreign countries. The problem is brought by there being a lack of proper regulatory systems to permit the market of binary options in Japan. This has given rise to the promise of huge payouts and bonuses from the brokers located overseas. The NCAC has also noted the increasing number of cases when it comes to the complaints regarding binary options. These complaints have become rampant and in June 2014 they rose to 178 which is a very huge margin. Since then, they have risen to 398 complaints in a period of two months from July to August. There are major issues that come with unregulated binary options brokers, the number of which are increasing exponentially. There are strict laws in Japan about the registration of companies that deal with offering binary options trading instruments, as well as the most crucial of the laws is the basic requirement of the registration of the company with the Japanese Financial Services Agencies. This means that if a consumer wants to verify whether a company is operating legally in the trading of binary options, they have the choice of conducting searches on the JFSA’s page. This is to verify the licensed financial institutions offering these services. This has played a big part in Japan’s ability to regulate the trading of binary options in the country. They have also started implementing the regulation that prohibits the binary options providers from offering binary options that have expiry times of less than an hour. They have also gone ahead and forwarded a warning to the consumers on the importance of avoiding the risks of going for bonuses and as well as payouts which might lead to them making the wrong decisions. The country has remained the center of attention when it comes to the regulation of the trading of the binary options from the overseas traders in order to protect their consumers from cases of solicitation. This is a great showing Japans level of commitment in regulation binary options as a financial service similar to the recent rulings in the UK. This ensures that the country remains the top of the list when it comes to this type of . This means that the local binary option traders have successful businesses than those of the overseas traders. It will boost the local economy by miles as well as give the local market a chance to grow.